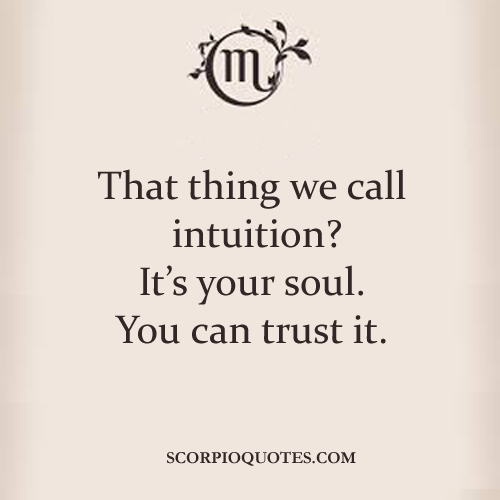 That thing we call intuition? That thing we call intuition? It's your soul. You can trust it.